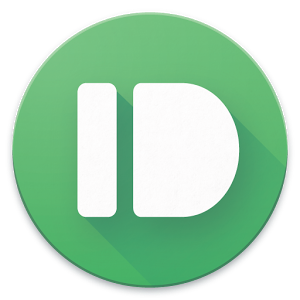 Pushbullet already does a ton of stuff, but big changes are coming today. The developers behind the app say this is the biggest update since its release, and that seems like a fair estimation. There are new features on Android, the website, in the browser extensions, and in the Windows app. Here are the new headlining features you can expect from the latest Pushbullet update. I'll expand on all this below. This update is rolling out on all platforms simultaneously, with the exception of OS X, which should be out soon. The messaging features seem like a big deal, especially if you already use Pushbullet to send files to other people. Now you basically have a new IM client, and it's the same app you've been using to send files this whole time. The chat-style interface is also faster at sending files to yourself and others. Check out the video below. Pushing multiple files has always been a little awkward with Pushbullet, but in today's update it's much improved. Most platforms will have drag-and-drop support for multiple files, rather than requiring you to upload them and push one at a time. The Android app won't have multiple file push right away, but that should be ready in the next update. If you're wondering about those chat-heads in the Windows app, here's how they work with the new, faster file pushing. As always, all your pushes are available across platforms, but notifications will sync. So if you get a file or message from someone on one device, you won't be bothered with the same notification again later. The updates are rolling out now, and should be available to everyone soon.